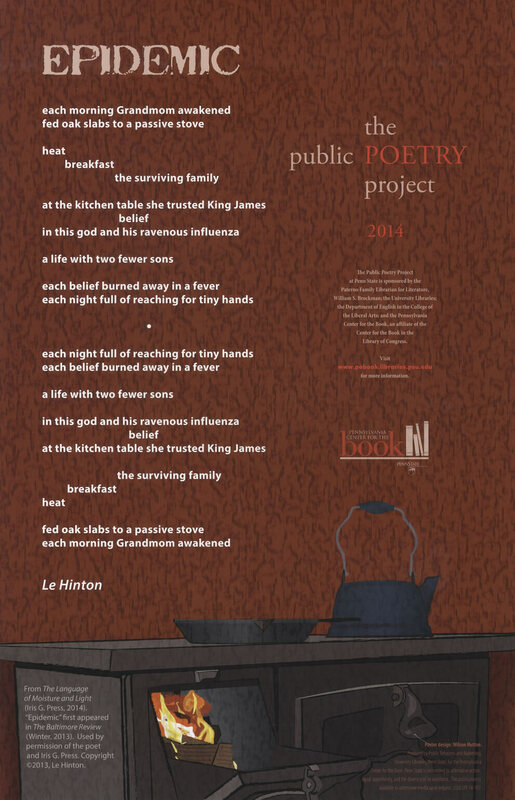 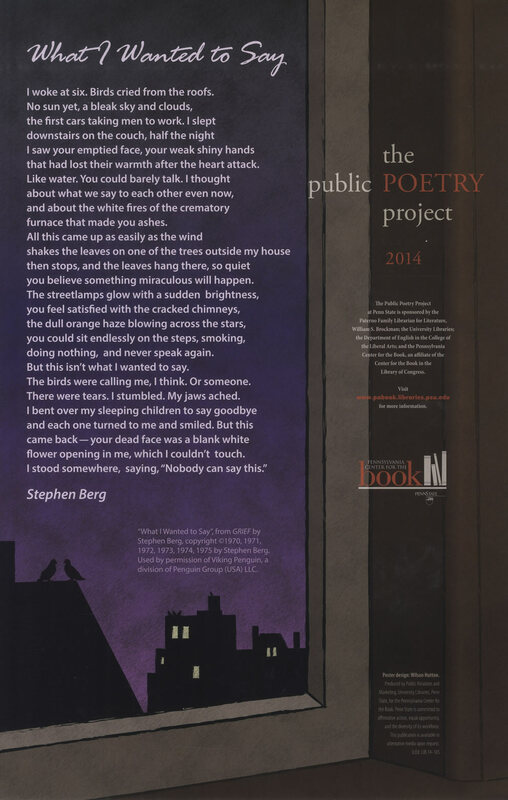 2014 Poetry Posters designed by Wilson Hutton. 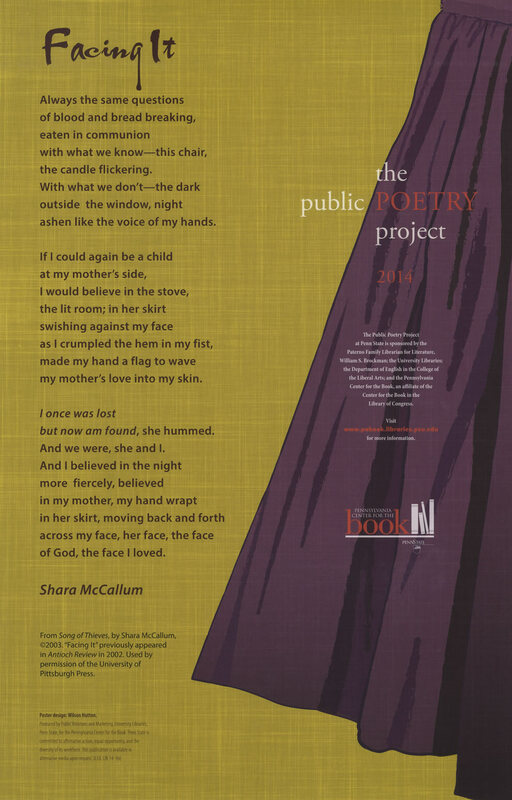 Shara McCallum's magnificent poem "Facing It" lures and lulls with the music of what one knows and doesn't know--the eternal song of mothers and daughters." 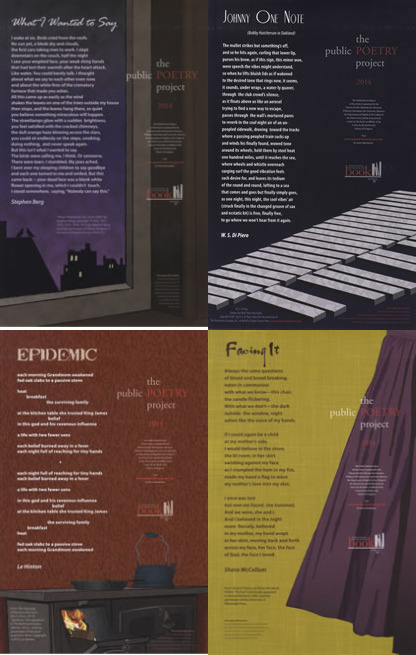 “Johnny One Note is a perfectionist and also a jazz maestro in love with his art, a risky place to be, as it is for a poet...a perfectionist, filters sounds for the tone desired. 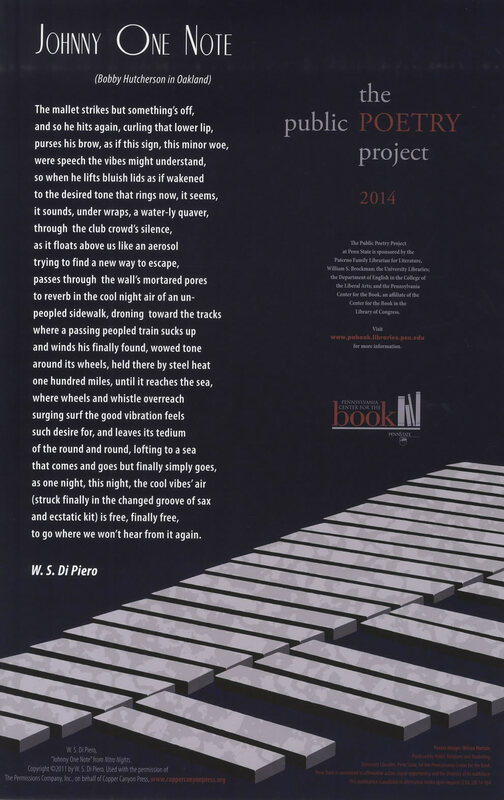 For both artists, both lyrical and passionate, improvisation manipulates art’s given forms enabling sonically and interpretatively the improvised, with just the right light touch for the intimacy of the setting."